Hubert Benoit also says that satori has two meanings. One is the satori-state in which everybody is – the birds and the trees and the mountains and you and all the buddhas – past, present, future. The whole existence is in the state of satori. This is another way of saying that godliness is everywhere, in everything; that godliness is the soul of everything. Buddhahood is everybody’s nature. And the second is the satori-event. Every man is from all eternity in the state of satori. The satori-event is only that historic, anecdotal instance when man suddenly ceases not recognizing that he has always been in the satori-state. Sumati and I spent almost five months making the journey overland to Poona and it was not easy at times. We had started off from England and combined hitchhiking with a few buses. For part of the journey I drove a Mercedes-Benz car to Beirut where it was to be sold by the owner. She was only twenty and had not experienced that kind of overland traveling – it took its toll. 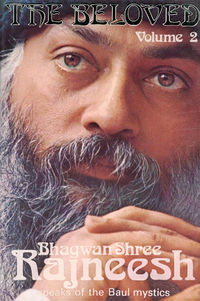 I was so relieved by the time we arrived because I felt I had delivered my package to Osho. There were times, like once on the side of the road near Ankara, Turkey, when both of us wished we hadn’t embarked on the journey together. But in the end we made it and soon we were in harmony again. Osho gave me five groups to do this time; Centering, which was the usual first group, Enlightenment Intensive, Tantra, Zazen and Awareness. Sumati was given a different schedule of groups. A couple of insightful moments led up to a breakthrough. There was an exercise given in the Centering group which used a nonsensical phrase that had to be memorized in a particular pattern and which required very keen concentration to remember correctly while performing other unrelated activities. The phrase was something like “shattaty, shamoui. Shamoui, shamoui, shattaty. Shattaty, shamoui, shamoui, shattaty, shamoui etc. And once we memorized this phrase we were paired up and sent into the busiest market area in Poona. Rickshaws, cars, bullock carts, cows, beggars, thousands of people all moving about and we had to maneuver through this chaos all the while reciting our phrase. This exercise created a witnessing consciousness. You concentrated on the phrase so much that all the other actions, crossing the road, making your way through the throngs of people happened almost as in a dream. And because of your non-involvement it flowed harmoniously. It really was quite remarkable. During the Tantra group I had the opportunity to face jealousy. When a break happened, I walked out and saw Sumati in a loving embrace with one of the guys Kaveesha had sent off to Poona from Kansas City. I could feel the energy of what one would call jealousy but, in fact, when I looked carefully it was just energy. I had heard and read many times Osho talking about facing fear, jealousy, anger and not reacting but just observing. Here now, in front of my face, was an opportunity to do just that. And as he had said, I found that when one stayed with this energy without condemnation, it transformed, and lo and behold it had become love. And I felt the most love for the fellow; perhaps because of the opportunity he had given me, to experience this transformation of emotion (energy). At some point within the five days of the Zazen group it became clear to me that I would be going to Japan. It just suddenly dawned on me. The experience seemed to trigger some very deep feelings that would need to be freed. Besides the sitting and walking meditation we experienced a Japanese tea ceremony performed by Asanga and a shakuhachi performance by Chaitanya Hari (Deuter). 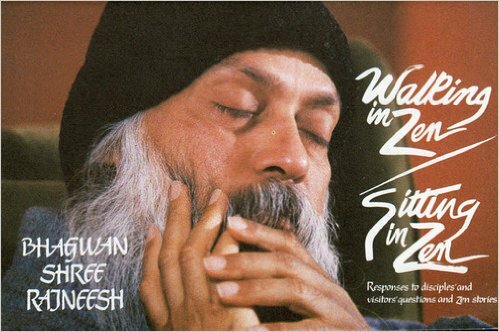 During the time I was in the Zazen group, Osho was speaking on Buddha’s Heart Sutra. While I was in Zazen, Sumati was doing the Leela group led by Somendra. My next group would also be led by Somendra, the first meeting of a new group called Awareness. After my Zazen and Sumati’s Leela group finished we had a day or two together before I was to begin my last group. It was then I learned that part of her “therapy” in Somendra’s group was his bedding her. Somendra was known for his magical work with energy, a bit of an energy “wizard”, and so apparently he worked his sexual wizardry on Sumati. Because of my knowledge of this, I went into the Awareness group with a presence of energy in my hara which I was very much aware of. This energy fueled my meditation within the group. I’m sure that Somendra had no idea that I was the partner of his bedfellow nor probably would he have cared and I never said a word. I stayed with that energy and let it work its own magic in my belly. Several days into the group we were lying on the floor in a meditation and I was “being with” the exhalations of my breath. With each one I went to its end and then let the inhale happen on its own. On one of the exhalations as it finished there was a movement that I would describe as that of the motion of a French Press coffee maker pushing down the plunger, plunging my head down into my torso, but then it stopped. At the time I felt like I was just on the verge of something but did not know what. At the end of the meditation Somendra told the group that I had had a mini satori. The next day in one exercise we were moving around the room with blindfolds on and I found myself drawn to the window. It felt as though my being was looking for a way out. Later we were again on the floor, and again I was staying with my exhalations and letting them come to a complete stop and waiting for the inhalation to happen on its own—and then—the French Press. Only this time it completed its plunge and it was as if everything that had been in my head, moved down into my torso below the shoulders. The head was gone. Just at the moment of this happening a call of a bird was heard—but there was no space between the call and myself. It was as if, up to that point, there had always been a very subtle screen through which the outside world had to pass; but not now. There was no separation. The meditation ended and Somendra had us sit up. We had had blindfolds on and when I moved mine off my eyes they looked like some kind of antenna and Somendra made a remark and everyone laughed. But when everyone laughed, I laughed and there was no sense of a person who was being laughed at. There was no person there. He must have motioned for me to speak because I heard myself say, “The goose is out.” I went on to tell him that yesterday when he said that a satori had happened that he was wrong. It hadn’t quite fully come to fruition, but today it had. 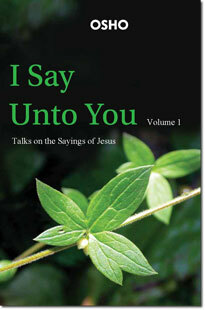 Note: Following is a question from a discourse in which Osho talks about Satori. That was the last group that was assigned and the last group that I did. Within a short time Sumati and I made preparations to go to Japan. We had bought the very first tickets for the train to Gujarat going to the new commune and because it was delayed we decided to go to Japan and make some money teaching English. We got a refund on our tickets for the train and bought some tape discourses to take with us. My friend Peter, who I had traveled with from Kenya to Madagascar, was living in Tokyo and so that would be a good place to land.